Millennium 7 Publishing Co.: YOUR Local Business Social Media Marketing? 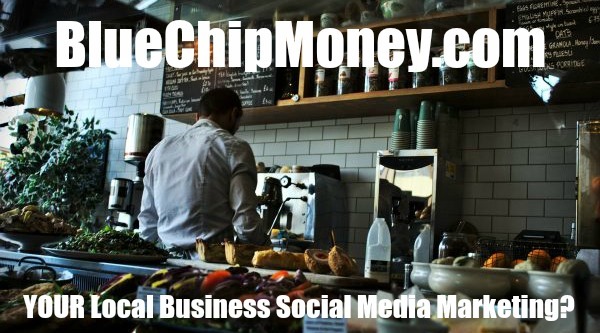 YOUR Local Business Social Media Marketing? You have a brick and mortar business, but is something missing? - You're chatting up with the locals, hosting events, you're even posting on Instagram.. But you know, you're missing something. You're having the case of the FOMO (Fear Of Missing Out) and perhaps the truth is, you're just not being social enough? In a recent study, it showed 54% of shoppers are expected to shop in these Mobile Moments (meaning online on their mobile devices). But how will they know you even exist? There are still apps such as the ever-elusive Snap Chat (Which FB tried to buy out at one point), LinkedIn, Twitter, and honestly, the list goes on and on. This can be a bit intimidating if you're not up to speed with how social media functions and that's why I put together a list that would help you start off on the right track when it comes to reaching the technologically empowered shopper. Thank goodness for integration! If cash is King automation in the small business world is Queen. The best way I discovered in cross posting meaning posting one time and it posts just about on every social media channel you are on. Using an app called IFTTT (If This Then That). You can easily cook up recipes that post on Instagram and have your images also showing up on Twitter. Instagram doesn't play nice with Twitter when it comes to posting images. Instagram also integrates and allows you to post on Facebook and Tumblr, but with IFTTT all you would have to do is share it one time without choosing additional options when posting. Zapier & an FB messenger tool called ManyChat are other apps which allow you to automate and stay connected. With Facebook constantly changing their algorithms, Instagram no longer being what it once was there is a unique way of posting that can help you drive in more traffic to your business and using Apps such as Social Sprout or Hootsuite that can make your life much easier while your social engagement climb. They allow you to post to your Twitter, Facebook group, Facebook page etc. on a schedule. For Facebook, I recommend scheduling post directly onto Facebook as its algorithms are more in favor of a "genuine" post as opposed to a post, posted from an outside app or bot. While using Twitter, go ahead and schedule out those posts straight from your app. Tailwind (used for Pinterest as stated above) can also point toward your Instagram but I recommend having the traffic drive more towards your website. Guest Authored By Linda Mendible. Linda is an ABC11 Influencer who specializes in digital marketing. Learn more about Linda on her website. Follow Linda on Twitter.